New York: The United Nations Office for the Coordination of Humanitarian Affairs (OCHA) reports that some 61 per cent or almost 16 million Yemenis are in need of humanitarian assistance. 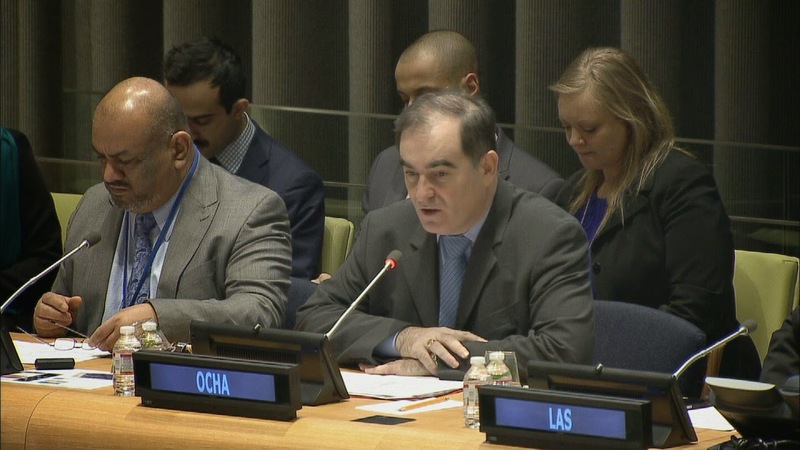 Opening the briefing on humanitarian situation in Yemen in New York, John Ging, director of the Operational Division of OCHA, said "the people of Yemen have been in a very distressed humanitarian situation for a long time." Joining the briefing via videoconference from Yemen's capital Sana'a, the UN the Humanitarian Coordinator for Yemen, Johannes van der Klaauw, said that despite the political crisis, delivering humanitarian assistance to all those in need is possible, especially through partnerships with various organizations. He said "the biggest challenge to our humanitarian operation is of a different nature. It is to secure adequate resources, funding, to deliver the programmes that people need." Phoning in to a press briefing in Geneva earlier, UNICEF representative in Yemen Julien Harneis said that the situation in the country had become "particularly worrying" with around 900,000 Yemeni children currently malnourished, out of whom some 210,000 were suffering from severe acute malnutrition.